You are here: Home / Specials / Specials / Chicks are HERE! Baby Chicks are in at Forrest Farm Supply. Ready for Easter. 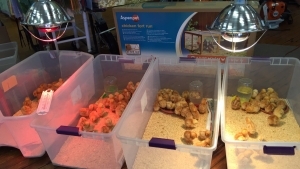 We also carry Starter Homes for the chicks and all the feed and feeder/waterers needs.